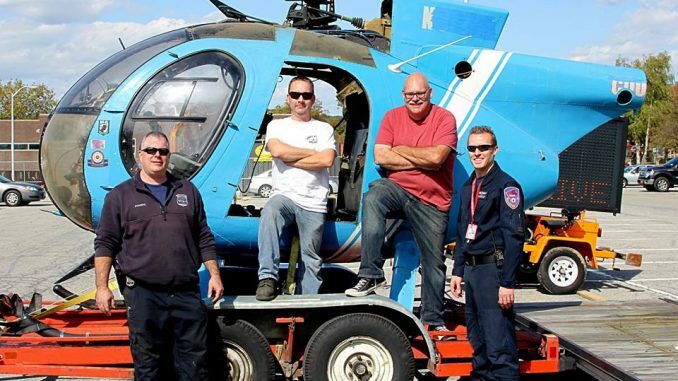 The Connecticut Air & Space Center in Stratford, Connecticut has begun the restoration of a former US Army Hughes OH-6A Cayuse, serial number 67-16477. The Cayuse was a Light Observation Helicopter in US Army parlance, but quickly gained the nickname “Loach” due to the phonetic truncation of the letters “L – Oh – Aich”. This particular Loach last saw service with the Westchester County Police, but prior to that it had a colorful military career, including a long stint in the Viet Nam war with Brandy Company of the 2nd Battalion, 101st Airborne Division. She flew transport and courier operations, as well as reconnaissance missions, racking up over 2200 hours of flight time in Viet Nam. She frequently took enemy fire, and there are a number of skin patches covering bullet holes on the airframe to this day offering stark testimony to her service. According to the CASC, damage from enemy fire effectively shot 67-16477 down on two separate occasions. However, recovery crews were obviously able to salvage the helicopter subsequently, and get her flying again. She served in Viet Nam from 1968 to 1971, returning home to Fort Rucker in Alabama where she joined the Silver Eagles, a US Army helicopter demonstration team. In 1974, 67-16477 entered the Army Reserve, passing through two units in New York State before finally retiring from military service in 1994. The LOH is very similar in design to the Hughes 500 civilian helicopter, and as such there was significant demand for the Loach in the civilian world. 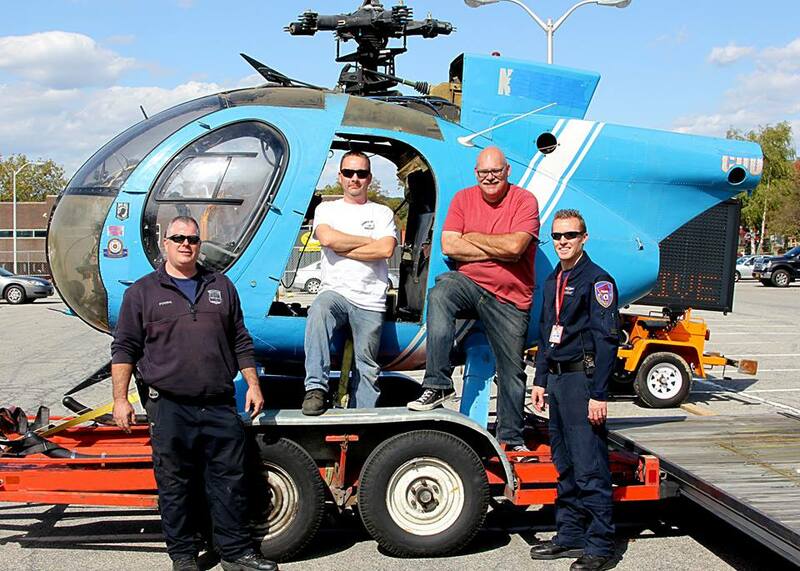 67-16477 found a new lease of life with the Westchester County Police Department Aviation Unit in Westchester, New York. They finally retired the helicopter in 2013, and CASC acquired her via the General Services Administration. The CASC has already begun disassembling the aircraft, and stripping it of paint and unnecessary police gear. “We will be restoring this ship to its original color scheme and proper markings,” said Andrew King, Executive Director of the Center. “What is a coincidence is one our volunteers may have actually flown on this aircraft as he, the pilot and the aircraft were assigned the second brigade headquarters company of the 101st Airborne Division at the same time.” King has been in touch with one of her original pilots, and has period color photographs of 67-16477 which should allow the museum to accurately transform the Cayuse back into her original configuration and markings. The museum is noted for their swift action, and tackling seemingly impossible projects. It’s astonishing what they have accomplished over the last few years with minimal resources and not the easiest of working conditions. One just has to look at the amazing job they have done with the FG-1D Corsair project which they have taken from corroded hulk to pristine display condition in just a few short years. The key to their success has been a talented and motivated volunteer crew, and the fine leadership of men such as Andrew King. They have many different projects on the go simultaneously, including the restoration of the 1928 Curtiss Flying School hangar at the Igor I. Sikorsky Memorial Airport in Bridgeport, Connecticut. The building is set to become their new home once fully refurbished. The Connecticut Air & Space Center is always in need of help of course. Any donations of time, parts or cash is always welcome. 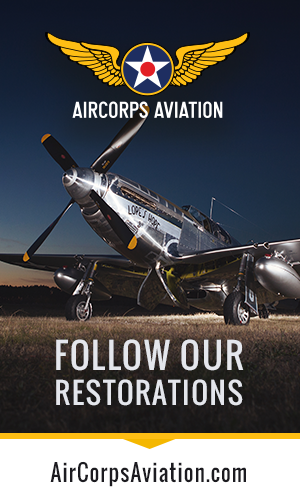 They are a 501( c ) (3) not-for-profit organization dedicated to honoring the pioneers of early aviation history, restoring and preserving examples of the aircraft they flew and educating this and future generations of their aviation history. The Center relies solely on volunteer work and donations for its operation so please feel free to offer any help you can provide. The museum has a fascinating blog, which is regularly updated. Click HERE to see it. Are they restoring it to flying condition or for display?